An earthy and exotic blend of sweet and spicy Mayan spices, cocoa and coffee. 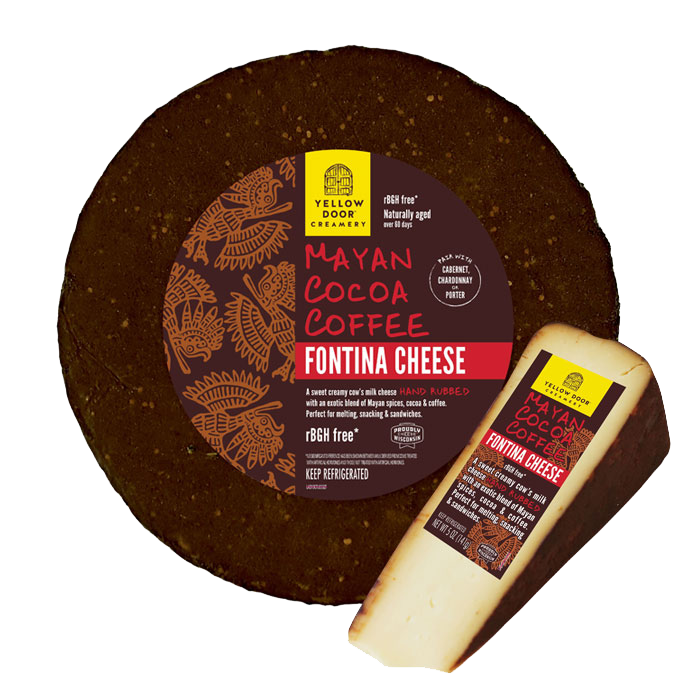 Mayan Cocoa Coffee fontina is the perfect cheese for melting, snacking and sandwiches. Save 20% on this cheese all month long! A flavor powerhouse of ripened goat cheese. You’ll enjoy the heavy floral, herbaceous, and mushroom notes in this earth-shaking masterpiece. If you love Humboldt Fog and can’t get enough of truffles, this is the cheese for you. Like other soft-ripened cheeses, Truffle Tremor® has a bloomy rind that allows the cheese to ripen from the outside in. As Truffle Tremor® continues to ripen and mature, the creamline develops and the flavor intensifies — an ooey-gooey, ripe Truffle Tremor is not for the faint of heart. The Doe is a gracefully creamy handcrafted bandaged-wrapped Cheddar marbled with intoxicatingly aromatic pure Madagascar Bourbon vanilla bean. This special cheese begins with wholesome rBST-free milk from Wisconsin. During the cheese-making process, we add freshly ground whole vanilla bean and then age the cheese to allow the flavors to mellow and penetrate throughout. The result is a uniquely perfumed velvety Cheddar that is savory with a sweetly woody finish. November Cheese of the Month! Marieke® Gouda Foenegreek: Sweet and nutty with flavor notes reminiscent of maple syrup. Pair with toasted almonds and maple syrup. Dark rum or Amber beer. Award-winning cheesemaker, Marieke Penterman, celebrates her Dutch heritage with this exclusive collection of flavored Goudas. She and her team handcraft each wheel using herbs and seeds mostly gathered in the Netherlands. Premium, raw, cow’s milk from her family farm provides each wheel of cheese with the exceptional flavor and texture you’ve grown to expect from Holland’s Family Cheese. When Kimberly’s Best Creamery started processing milk, we were committed to only sourcing milk from dairy partner and producer who uses highest quality feeds and forages, including managing their herd without the use of artificial growth hormones. August Cheese of the Month! Save 20% ALL August Long on This Cheese! Leave it to the Beehive boys to create another unique, delicious cheese! As Beehive’s newest addition to the family, Teahive is a “feel good” cheese. The soothing qualities of tea and the relaxing properties of bergamot combine to produce a lovely cheese with rich fragrances of orange blossoms in April. The creaminess of this Jersey cow cheese immediately delights the palate and the complexities of the tea-rubbed rind continue through the finish. Save 20% ALL July Long on This Cheese! Bonne Bouche is the flagship of Vermont Creamery’s signature geotrichum-rinded aged goat cheeses. Introduced in 2001, Bonne Bouche quickly won acclaim. Today it is one of the most popular “geo” cheeses on the market and has been awarded some of the most prestigious honors in the cheese world. Reminiscent of the Loire Valley cheeses of France, Bonne Bouche means “good mouth” - though we like to think of it as "good mouthful" - and it is indeed a tasty bite. Made with fresh pasteurized goats’ milk from family farms, the curd is carefully hand ladled, lightly sprinkled with ash, and aged just long enough to develop a rind. After about ten days, the cheeses are packaged in their individual crates and sent to market where they will continue to age up to eighty days. As a young cheese, the rind has a pleasant yeast flavor and creamy interior becoming softer and more piquant as it ages. Tasting notes: Creamy, rich, buttery, salty, mushroomy, peppery, sour... the list goes on and on. It seems that every person who tastes it takes away something different. Add a creamy wedge of Bonne Bouche to a salad with grapes, candied walnuts, and duck confit. Air dry in a refrigerator until firm for 2 weeks, and shave slices to add complexity to salads, soups, risotto, gnocchi, and pasta. Bake Bonne Bouche wrapped in puff pastry and top of roasted fruit and serve with crostinis crisps. Serve Bonne Bouche for dessert on a slice of honeycomb with warm fruit compote. Condiment Pairings: Prosciutto, Honey Comb, Chocolate Almonds. Beverage Pairing: Rosé, Sauvignon Blanc, Pinot Grigio. Save 20% ALL June Long on This Cheese! This complex Farmstead American original embodies the rich nutty flavor of an aged Gouda while featuring notes of piquant Asiago and layers of Caramel-like Parmesan. Made with raw goat milk. Tasting notes: Rich, nutty, creamy flavor that becomes increasingly complex with age, presenting caramel notes. Slice, shred, cube, Enjoy. This Award Winning cheese can be used in place of any traditional Parmesan, Asiago or aged Gouda. Evalon's presence is bold and well developed, making it the perfect centerpiece to a cheese board or the perfect vehicle to add depth to any recipe . 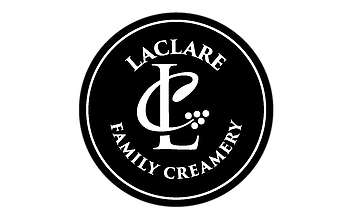 Content thanks to Laclare Family Creamery. Save 20% ALL May Long on This Cheese! This buttery, slightly sweet cheese has the texture and flavor of a Jack with subtle butterscotch undertones. A great melting cheese for sandwiches, pizza, nachos and everyday kitchen use. Save 20% ALL April Long on This Cheese! Sid's whimsically delicious take on the famous French cheese, Morbier. Our version features a layer of sheep milk cheese and a layer of goat milk cheese separated by a layer of grape vine ash and pressed together. The flavor is both delicate and rustic. Taste each layer separately and then together for three different flavor profiles in one great cheese! Save 20% ALL March Long on This Cheese! 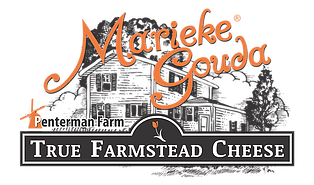 Marieke® Gouda Honey Clover: Award-winning cheesemaker, Marieke Penterman, celebrates her Dutch heritage with this exclusive collection of flavored Goudas. She and her team handcraft each wheel using herbs and seeds gathered in the Netherlands. Premium, raw, cow’s milk from her family farm provides each wheel of cheese with the exceptional flavor and texture you’ve grown to expect from Holland’s Family Cheese. Sweet yet earthy with notes of fresh grass. Apples and Walnuts. Riesling or Hard Cider. January 20th is National Cheese Lover's Month! The Vermeer is naturally matured for 22 weeks. This award winning, full flavored Dutch cheese has a delicate, fruity taste. As well as its delightful flavor, Vermeer contains less fat and less salt than classic Gouda cheese. It makes a delightful ingredient for salads and an essential cheeseboard staple. Content thanks to A Dutch Masterpiece. Nokkelost is a gouda spiced with cumin and cloves. Delicious! When you eat it, you get the same warm feeling as if you were drinking apple cider with mulling spices. Don't miss out on this seasonally appropriate fav! 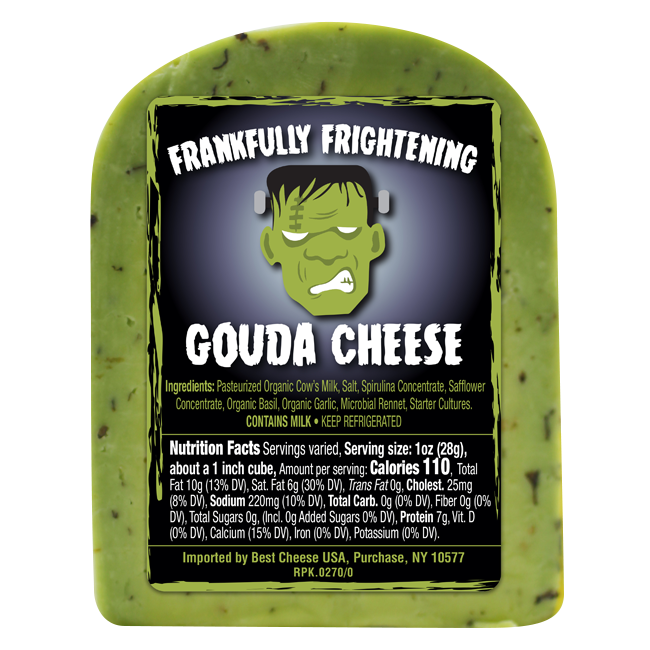 Save 20% all November Long on this Cheese! Etivaz APC is a hard cheese made from raw milk. It is produced by hand over an open fire from May to October in just over a hundred Alpine dairies in the Vaud canton Alps according to a traditional recipe. The raw milk is treated directly in the dairy and is full of aromas of fine Alpine herbs. Etivaz AOP has a characteristic aromatic/fruity taste with slight hints of nuts that can vary slightly from Alp to Alp depending on the food given to the cows. Its dough is ivory to light yellow in color, and the round cheese weighs between 15 and 35 kilograms. Etivaz AOP matures for 5 to 13 months and keeps very well. It is only produced in small quantities, from 400 to 430 tons, i.e. 17’000 to 19’000 cheeses, during the summer months.